It’s an unimaginable number, really. Take a million dollars and multiply it by a million, and you get a trillion dollars. Fun fact: That’s America’s credit card tab right now. We sure do love our plastic, don’t we? No lie. Americans’ collective credit card debt just topped $1 trillion, its highest level since the country’s last recession in 2008, according to new Federal Reserve data. Technically, we owe $1.0004 trillion on our credit cards, but who’s counting an extra $400 million or so? That’s chump change, man. The balance is 6% higher than it was a year ago, and a 16% increase from 2012. Credit card balances plummeted during the recession as we all tightened our belts. Naturally, there’s a good-news-bad-news aspect to all of this. The good news: “Rising consumer borrowing is often a positive sign for the U.S. economy,” The Wall Street Journal reports. Basically, it means people are buying more stuff, and that’s a good thing. The bad news: From sea to shining sea, we all owe a lot of money. 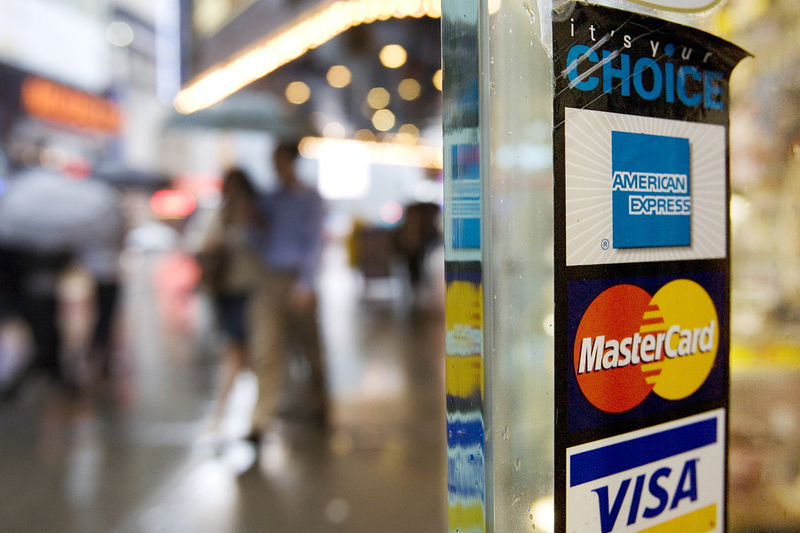 More Americans are struggling to pay their credit card bills, Bloomberg News reports. Map out exactly what kind of debt you have. For example, which companies do you owe money to? Are any of your debts are in collections? What are your minimum monthly payments on each credit card or loan? An easy way to do this is to sign up with a free service like Credit Sesame. This tool shows your balance on any unpaid bills, credit cards or loans. It also offers tips on reducing your debt and raising your credit score. Once you fall behind, you may find yourself getting crushed by credit card interest rates north of 20%. You’ll never catch up that way. You’re spending so much on interest, you’ll never pay off your balances. If you’re financially treading water like this, it’s worth consolidating and refinancing your debt. An easy place to start is Fiona, which can help match you with the right personal loan to meet your needs. Type in your info, and it compares interest rates from several lenders. You’ve probably heard conflicting advice about the best way to pay off your debts. That’s because different methods might work better for different people and situations. The two best-known methods for paying off debt are the debt snowball and debt avalanche methods. Avalanche: You pay off your debts with the highest interest rates first — most likely your credit cards. Doing that can save you a lot of money over time. Snowball: You pay off your debts with the smallest balances first. You may pay more in interest in the long run, but this way allows you to eliminate debts from your list faster. That can motivate you to keep going. Which method should you use? The one that works best for you. Paid in Full. That’s the Goal. That’s what Americans owe on their credit cards. Sure, it’s an unimaginably big number, but that doesn’t mean you have to be one of those who fall behind. Roughly a third of all monthly credit card balances are paid off in full before the user has to pay any interest. The average U.S. household is carrying about $175,000 in mortgage debt, $50,000 in student debt, $29,000 in auto loans — and nearly $16,800 in credit card debt. So if you keep swiping that plastic, you have a lot of company. The trillion-dollar question is: Can you do it without getting carried away? Your turn: What’s the most credit card debt you’ve ever had? Mike Brassfield ([email protected]) is a senior writer at The Penny Hoarder. Much to his regret, he’s quite familiar with credit card debt.